After seven months away, Tim and I crossed back into Colorado on March 26. We checked into Trinidad Lake State Park, just outside the town of Trinidad in southeast Colorado. Tim and I have always enjoyed Colorado state parks, and Trinidad is another great one. It was nice to return to a state park and settle into a nice campsite that even had a small view of the lake. Despite the fact that it was spring break for many schools, the park was surprisingly quite. 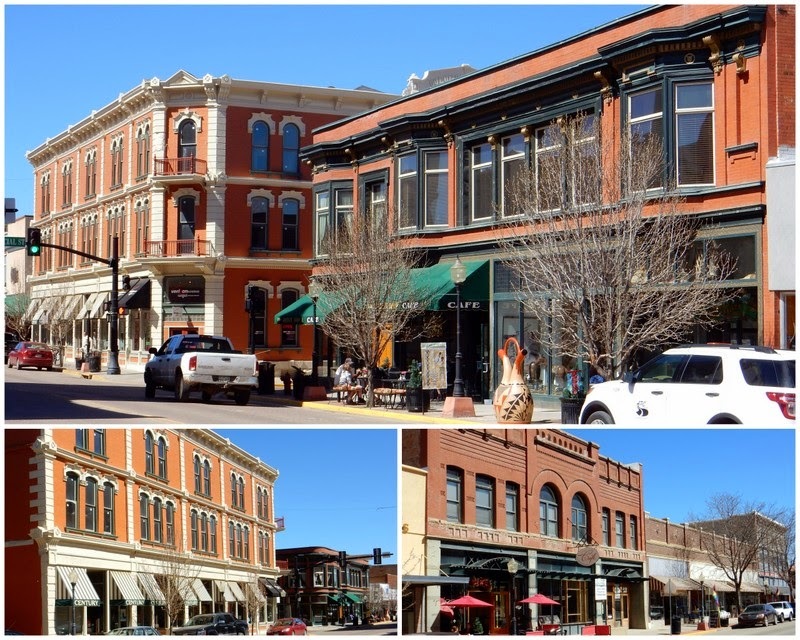 Trinidad was once a stop on the Santa Fe Trail and is an interesting historic town with a restored and active downtown. Locally-produced bricks were used to pave many of the streets, and these have become the defining feature of the downtown district. Trinidad was also a mining town, and the Coal Miners' Memorial on Main Street honors the men who labored in the nearby coal camps. Tim and I were surprised with the number of very good and interesting restaurants in Trinidad, and we did our best to sample quite a few of them. Comfort food was the specialty at Lee’s Bar-B-Q (which isn’t really known for its barbeque), and the burger smothered with fries and green chili was over-the-top. Healthier, but equally delicious, options were the rule at our two favorite restaurants, The Café and Bella Luna Pizzeria. One day we ventured out to drive the Highway of Legends, a scenic highway that circles the Spanish Peaks from Trinidad to Walsenburg. Our first stop was the Cokedale Ovens. These odd structures seem to remind most people of ancient Roman aqueducts, but they are actually coke ovens that once transformed coal into coke for use in smelting iron. The highway soon began the climb toward Cuchara Pass, and on the way we passed by several mountain lakes that seemed to be perfect summer destinations. For me, the most interesting part of the drive was the wealth of unique geological formations. Most interesting was the Devil’s Stairsteps, which is said to be a prime example of the 400-plus stone dikes that radiate out from the Spanish Peaks like spokes on a wheel. I’m not exactly sure what that means, but I do know that I had never seen anything quite like that before. We extended our stay at Trinidad Lake State Park because snow was in the forecast for the area we were headed. This seems to be a recurring theme in our recent travels. We didn’t mind a few extra days at the park, especially since we were able to move to an even more scenic and spacious campsite with a lovely view of Trinidad Lake. Although we didn’t spend all our time touring, relaxing and eating, we did make it a point to rest up for the work we were facing at our next stop. That’s where we would downsize and make our final preparations for our trip to Alaska this summer.